While Bergonzi's interpretation of lyrical roles was the gold standard for many, including Edgardo (Lucia), Riccardo (Un Ballo), both Rodolfos (Boheme and Luisa Miller), Alfredo (Traviata), Pinkerton (Butterfly) and others, he still had the heft for successfully essaying heavier roles like Radames (Aida), Manrico (Trovatore). Bergonzi was an exponent of the old-school "stand-and-deliver" style, with minimal emphasis on acting, preferring to act through his voice, with finely chiseled detail in his interpretations. We attended a performance of L'Elisir d'Amore at Munich this summer, where the very fit tenor actually climbed a lampost on set and delivered "Una furtiva lagrima" perched at the top! 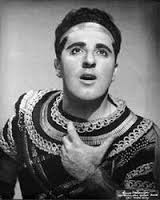 Bergonzi's performances were in contrast low on stage antics and maximal in musicality. His career, spanning half a century, is a shining example to all singers, his last major public performance being at the age of 75! Sri Varalaksmi is a brilliant Kriti of Dikshitar that describes the importance of Varalakshmi Puja that happens on the Full moon day of Shraavan month, on. Friday to usher in the grace of the goddess of fortune Varalakshmi. I have rendered the piece in Sri raga with a video. Do listen, watch, enjoy and share the joy. Had an awesome vacation at Oslo and Geiranger in Norway with my husband. Thanks to my Norwegian friends Nalayani and Mohan for making our trip most enjoyable! 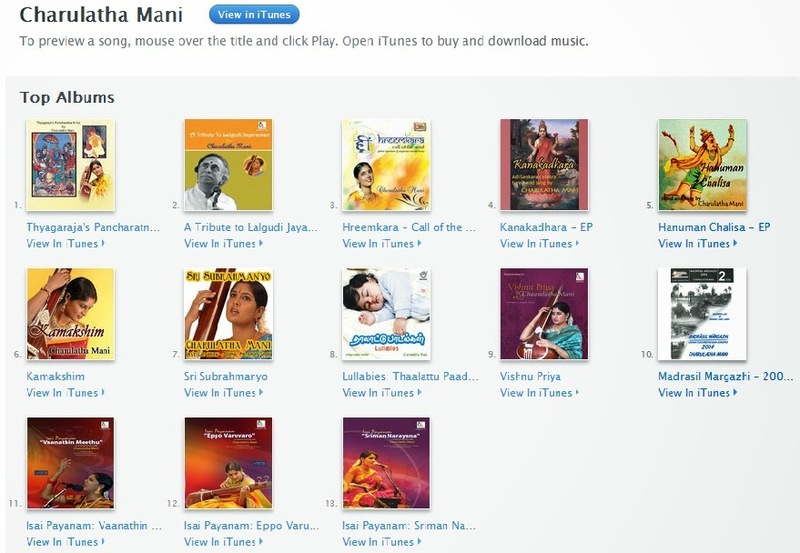 Learn Ragas is a musical insight into certain important and typical ragas of Carnatic Music. 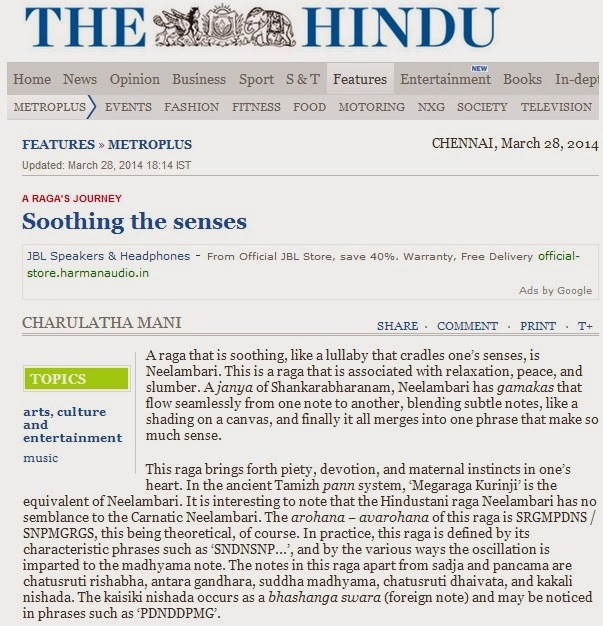 Classical Musician Charulatha Mani, popular Carnatic Vocalist, is acknowledged world over as an expert on Ragas. In this video in her own lively and melodious style she outlines the salient features of the raga with the right grammar to put learners on the right track, shares with us well-known compositions in the raga as well as presents a piece in full to bring out the complete joy in this effort. Students and music lovers will love this offering for its simplicity, and user-friendly presentation. This video is completely in lucid English which makes it appealing to a wide spectrum of music lovers. Creating this recording and the video was a spiritual experience for me. Raga Bhairavi has magical powers and envelopes the soul. 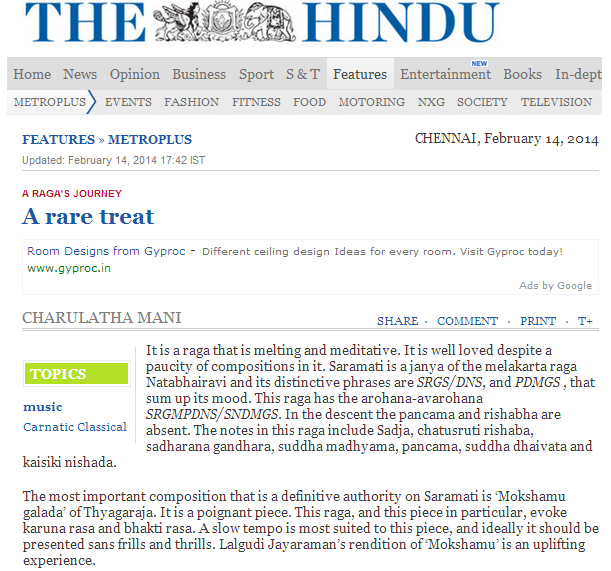 This kriti "Amba Kamakshi" was composed on the goddess at Kanchi "Kamakshi" by the great Shyama Sastri. This kriti is a call of the child's soul to the divine mother "Amba". Each and every person can relate to this call to the divine, this I truly believe. I dedicate this video and kriti to Kanchi Kamakshi Ambal, Sri Mahaperiyava and Shyama Sastri. I also recall with fond love my guru Late Smt Savitri Saytamurthy who painstakingly taught me this piece "Amba Kamakshi" and many other precious gems in music.